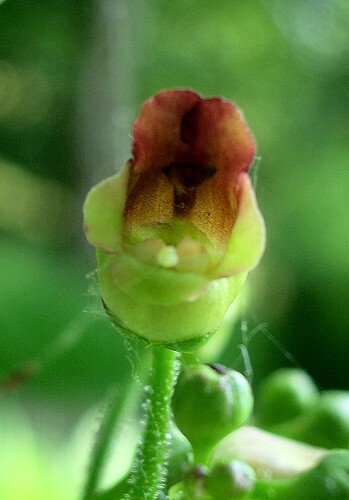 Common Figwort is a rather ugly plant with odd-looking flowers about 1 cm long. 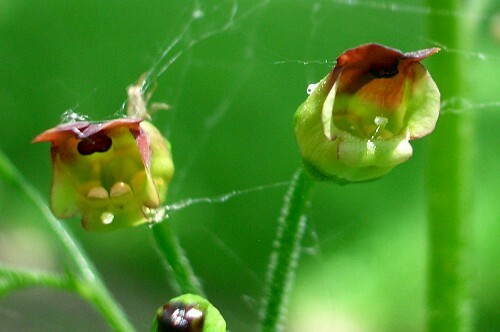 The flowers are cup-shaped, reddish/brown above and green/yellow below and contain 4 large stamens. The leaves are ovate and toothed. The stem is covered in sticky hairs. This flower thrives in damp deciduous woodland. 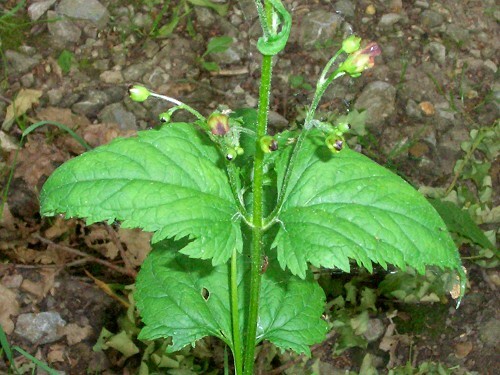 It was used in herbal medicine as a treatment for skin eruptions.